Rich Anderson, retired pastor of Capistrano Community Church in San Juan Capistrano, California, and Cheryl have traveled to Israel many times and believe that a trip to the Holy Land, specifically a faith based tour to the Holy Land, is a profound experience that has an impact on your spiritual life and passion for Jesus Christ. Rich and Cheryl have five grown children, and five grandchildren. 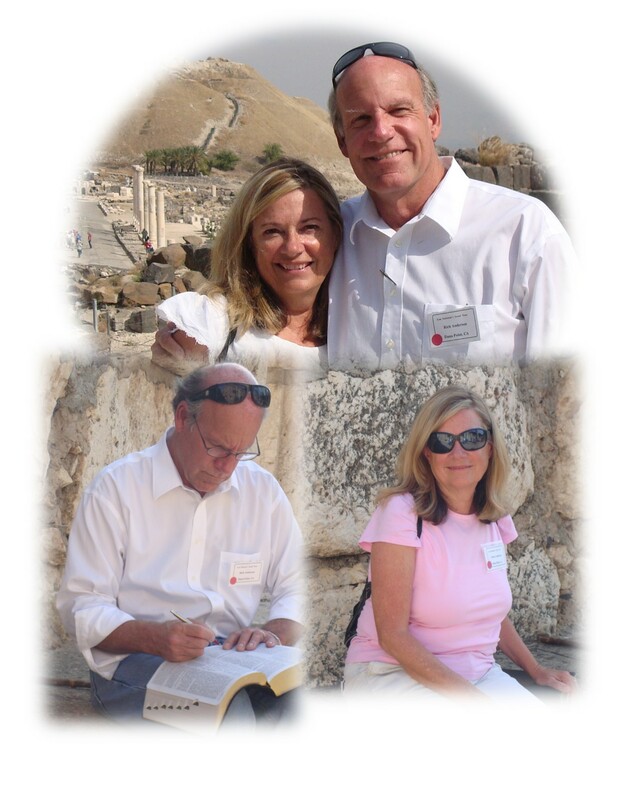 They love the Lord, His people, and they love to travel, especially to the Holy Land. Pack your Bible, open your heart and join them on this exciting spiritual adventure to the Holy Land. What is included in tour?—lodging, meals, tips, flight, from where? What is cost for 2019?